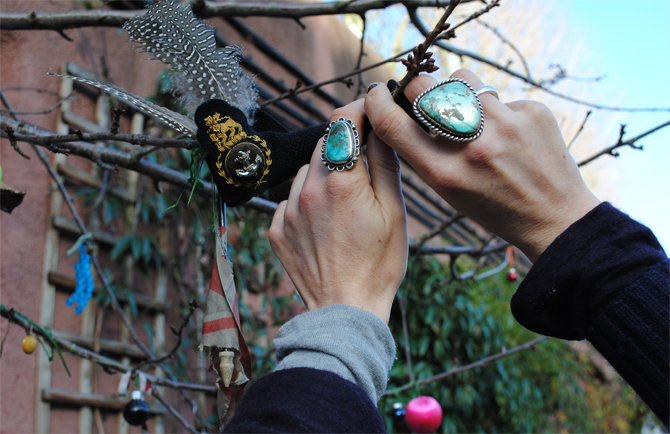 Stylist Emma Freemantle, Worn With Love and barge living. 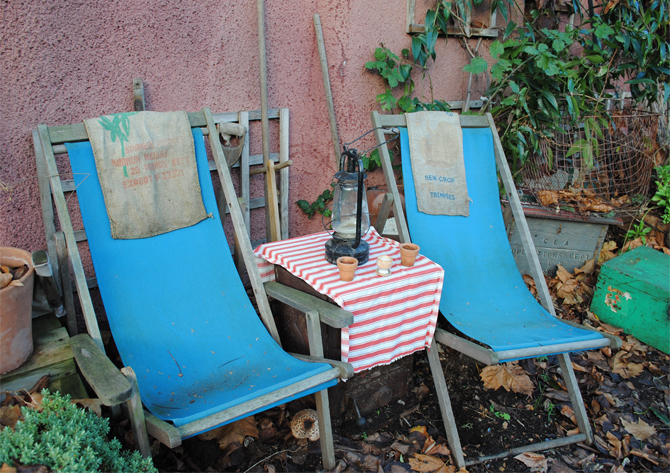 If anyone is harbouring dreams of giving it all up and living a quieter, slower life away from the madness of our hi-tech lives, this might be the post for you. 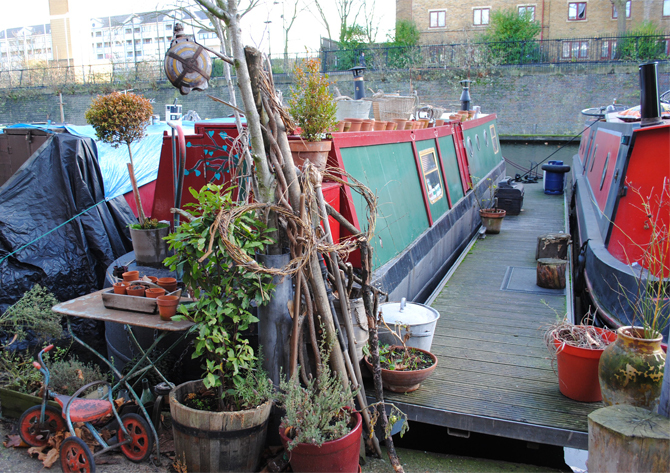 Pictured above is the fashion stylist Emma Freemantle, who lives on a beautiful boat on Regent’s Park canal and creates hand made decoratives and accessories from vintage finds instead of watching TV or getting stressed about how little time there is to do stuff. Aeons ago I worked with Emma when she was Caroline Baker’s fashion assistant on You Magazine and she was the first person I ever saw wear a dress over trousers, way before it became fashionable and back when the only people to do this were clergymen or tribal women who lived in Mongolia. She was and still is a girl with innate creativity and can be found styling the fashion pages of magazines such as Country Living when she’s not sewing wall hangings and feather head dresses in her photogenic barge. 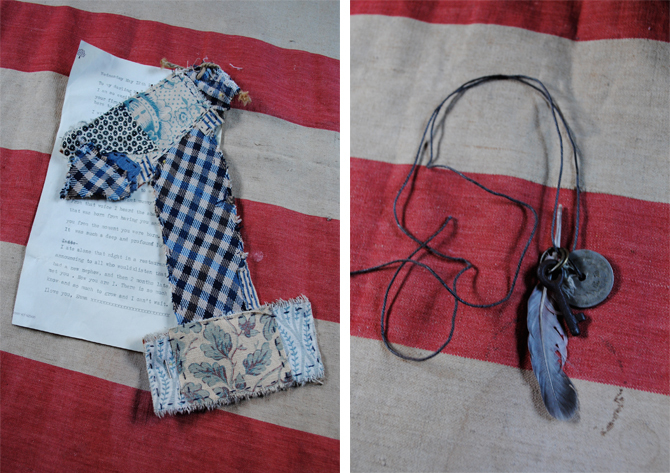 Emma makes items for her Worn With Love website from found pieces she buys from vintage fairs and markets, which she revamps. 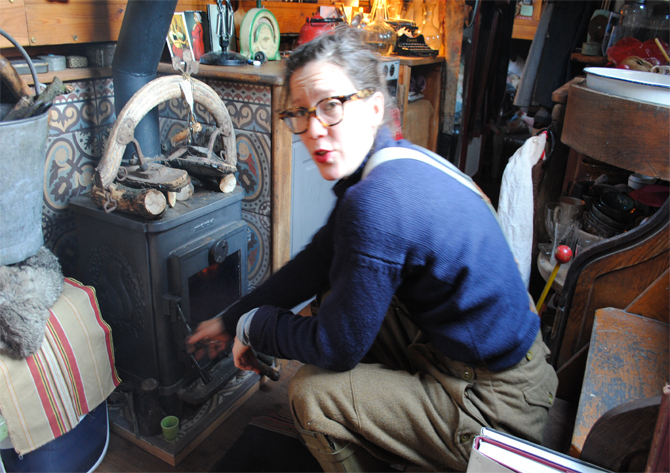 ‘I like the old fashioned way of doing things” she says as she stoked up her wood burning stove which keeps the whole barge cozy,”really I’d like to go back to where everything is made by hand and where we talk to actual people rather than read tweets from strangers…’ She describes living on the boat -which she\s done for five years -as ‘magical’. 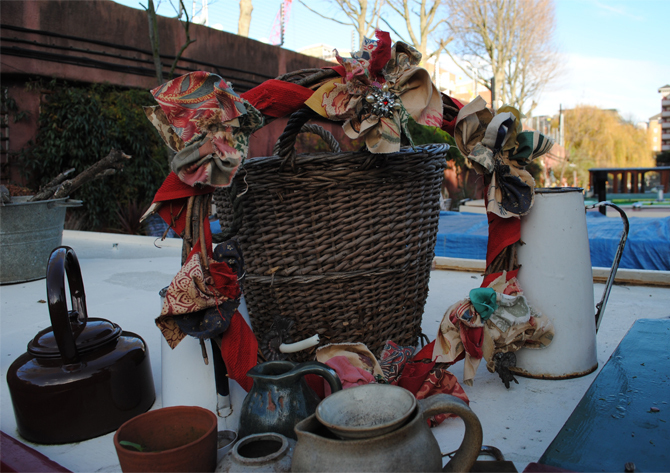 Emma’s barge is permanently moored, with a teeny garden and a wishing tree from which she hangs baubles, feathers and other quirky pieces she picks up around the place. 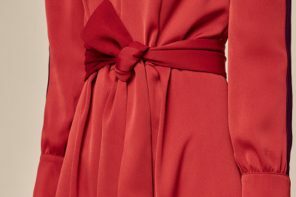 The day I hung out with her, she was wearing mens woollen uniform britches kept up with baby-blue braces, a vintage navy Guernsey sweater and one of her feather cashmere head-dresses, plus a fist full of turquoise rings (she has a major collection). 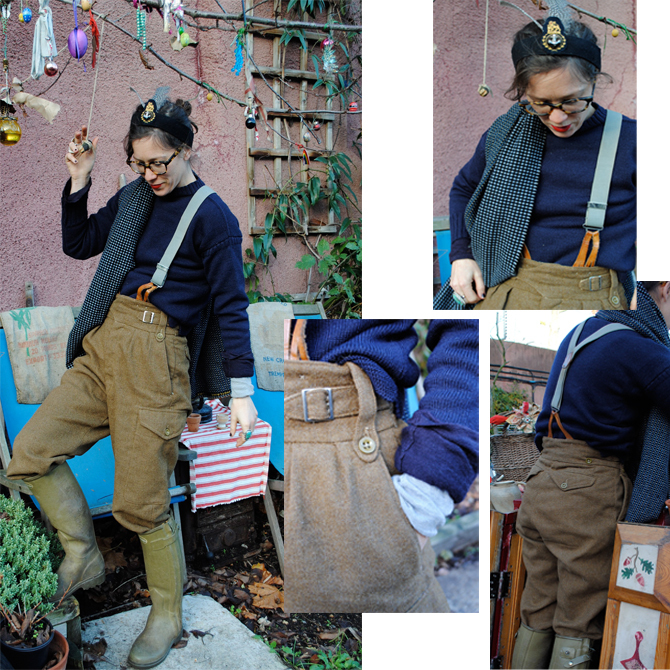 The barge is cosy inside, but she’s always in and out of the tiny hatch door -currently to weave willow from a local tree into wreaths for a shoot- so needs to dress practically, hence the wellies. 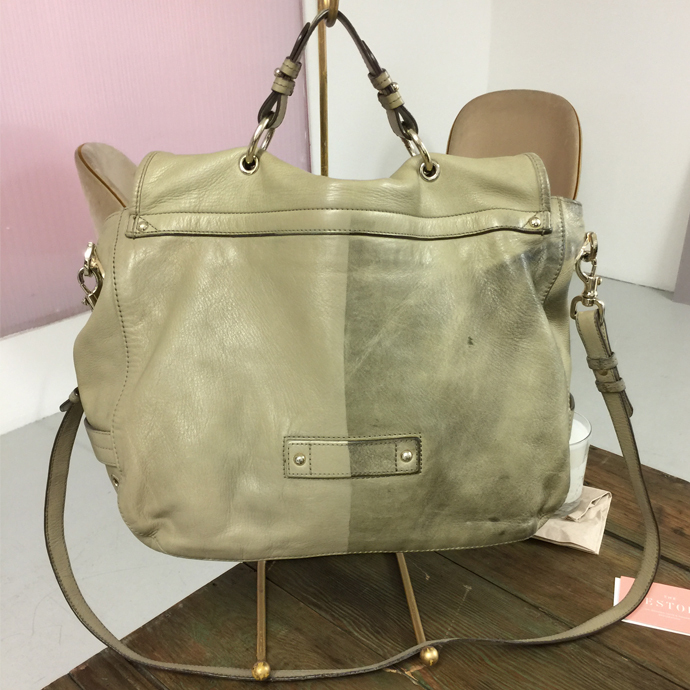 We talk clothes over coffee and cake, as I am keen to hear how Emma creates her own style. She’s a textile obsessive and is drawn to labels that use really good fabrics, such as Margaret Howell, Comme des Garcons, Celine, Churches, Old Town and Toast. 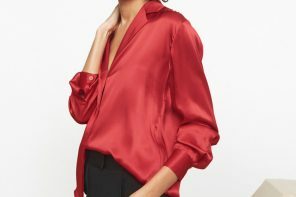 She studiously pulls a look together in her head to make sure it’ll work before buying. I’d love to say I was the first person to appreciate Emma’s charm, but she’s already pretty famous, her wee barge was the front cover of November 2011’s World Of Interiors, The Sunday Telegraph featured her last year and our favourite craft magazine Selvedge did a big spread on her this August. She has a fan base that even includes visual communication students from the University of Delaware, who recently booked an ‘inspiration’ visit, ‘They came onto the barge two by two, it was like Noah’s Ark’ she said. 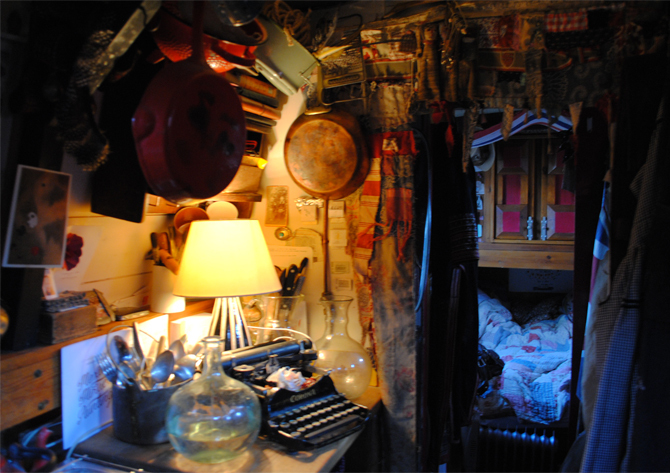 The inside of the barge is tiny, with every surface filled with table top displays and inspirational ephemeral for boat living. 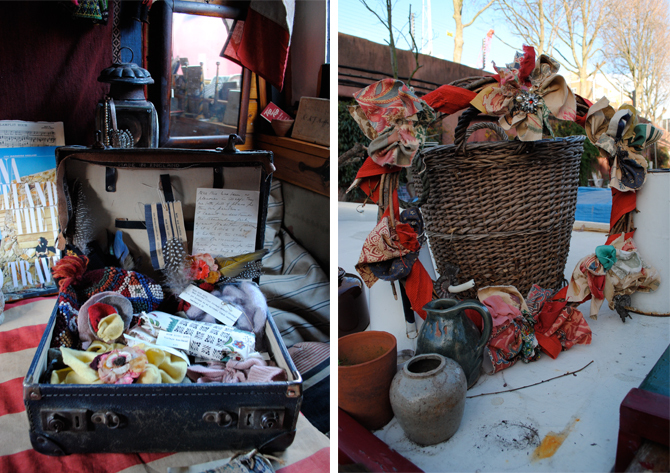 Emma’s garden, above, on the day I visit the sun is shining and her tiny patch of London seems to have slowed to its own gentle pace, making me think maybe I should live on a barge and make things…..Visit Emma’s website Worn With Love to see more of her hand made treasures, she also works as a personal stylist if you need help, or just dream of waterside living by enjoying the images. Anyone else fancy living on a boat? Next articleWhat did we do before Down jackets? Love this post. What a life! I first saw her and the boat on a faircompanies.com video about living in a small space and continue to be fascinated by this old-fashioned – yet modern somehow – world that she’s created for herself. 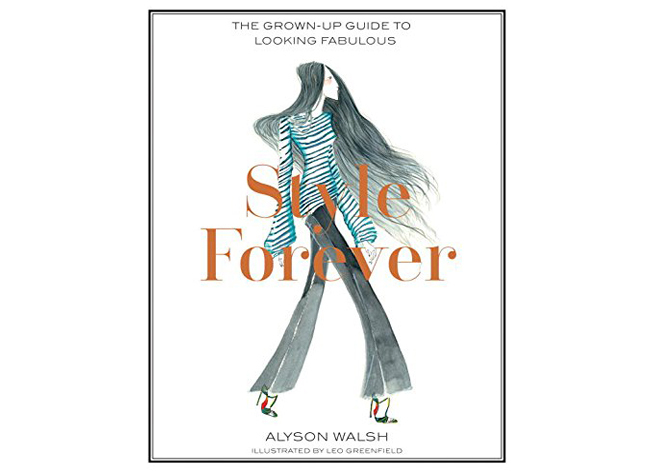 Our mate Alyson Walsh over at the That’s Not My Age blog has written a book on looking stylish forever what ever your age….